Yesterday I showed you the crayon nametag I made for back-to-school night for Isaac’s teacher. Well I didn’t want the nametag to sit in a desk drawer all year. So I made a school wreath to display the nametag. When a teacher wants to wear it she can just take it off the wreath. 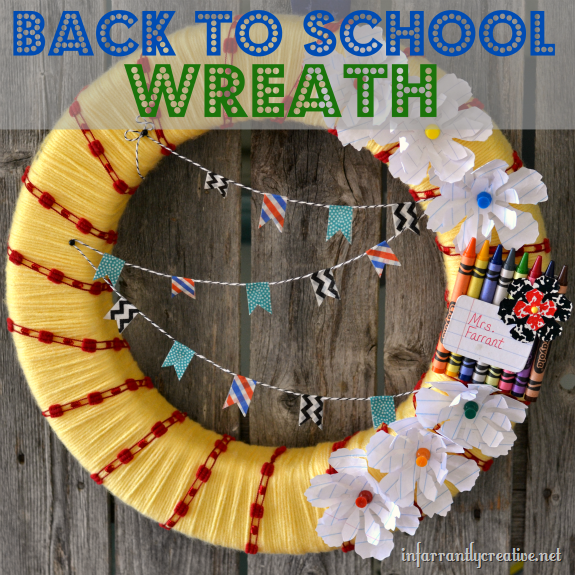 While she isn’t wearing it she has a wreath to display in her classroom.